Snapdeal has barred sellers on its platform from giving more than 70% discount on the maximum retail price on most products from May 13, as the ecommerce firm aims to tackle the increasing return of merchandise from buyers. In a communication sent to sellers on May 9, the company said: "We have noticed deeply discounted products often do not meet expectations, leading to increased returns and customer dissatisfaction. To improve customer experience, you would not be able to list a new product or update the price of a listed product with more than 70% discount on MRP." Sellers on leading marketplaces, including Snapdeal, have been complaining of increased returns by buyers due to the "no questions asked" return policy of the ecommerce companies. Increased returns is a logistical nightmare as inventory is stuck in transit for long time and also cause accounting errors, say sellers. A Snapdeal spokesperson said this is a way to providing consumer insights and assisting the sellers in making a sale. "In this instance, we have shared with our sellers that any discounts that the consumers perceive as unrealistic may adversely impact the consumer perception about the quality of products," the spokesperson said. "Laying down the operating rules on our marketplace and providing market information is an ongoing activity. The price is determined by the sellers based on various inputs they may receive from multiple sources, including from us." According to Devangshu Dutta, chief executive of retail consultancy firm Third Eyesight, Snapdeal's strategy might go down well with India's new foreign investment policy in ecommerce. But sellers won't like it. "The intent of the new ecommerce policy is clear. 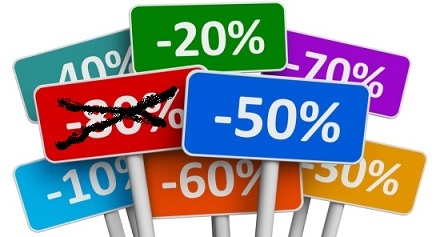 The government wants to control deep discounting. So the government may not have any problem with Snapdeal's diktat. However, since this policy is influencing the prices, sellers could challenge it," Dutta said. As per the latest government guidelines, online marketplaces are not allowed to influence the price of goods and services directly or indirectly. While some sellers say this is a "good move", others see it as a hindrance when they try to clear piled up inventory. The All India Online Vendors Association, which represents medium-to-large sellers on various ecommerce platforms, said, "Snapdeal should discuss such policies with vendors before putting any cap on discounts."